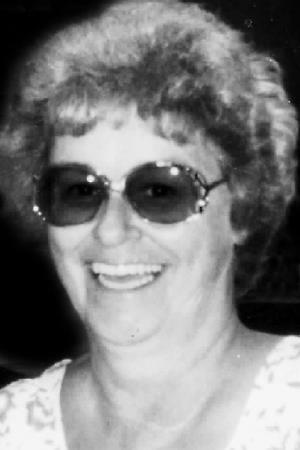 "I know there is a very happy reunion happening in Heaven...."
RICHMOND - Betty Jean (York, Dow, Silk) Moody of Richmond and Bar Harbor died peacefully at home on Aug. 2, 2018, after a long battle with emphysema. She was born Aug. 29, 1941 in Hartland, Maine, the daughter of Woodrow W. and Doris L. (Walker) York. She was predeceased by two sons, William H. Dow in 1963, and Brad Moody Jr. in 2017. She is survived by, Brad Moody Sr., and children; Sherri Sullivan, Becky and her husband, Jim; Fred and his wife, Chrissy; Hank Dow; Brian and his wife, Tracy; Kim Moody, and Randy Moody; several grandchildren; and two very special great-grandbabies, Arai and Bobby. She is also survived by her brothers, Bob Caulkin, Sheldon York, and Jay Turner; and her sisters, Faylene Duffy, Deanna Morrill and Carmen Higgins. We would like to extend an extra thanks to the CHANs Hospice Care Teams that worked so tirelessly with and for Betty during these very difficult times. Betty considered these folks to all be part of her family. Per Ma's request, there will be no services. local animal shelter or rescue.